Before joining the Streetsblog team in 2013, John Greenfield and Steven Vance wrote the transportation news website GridChicago.com. 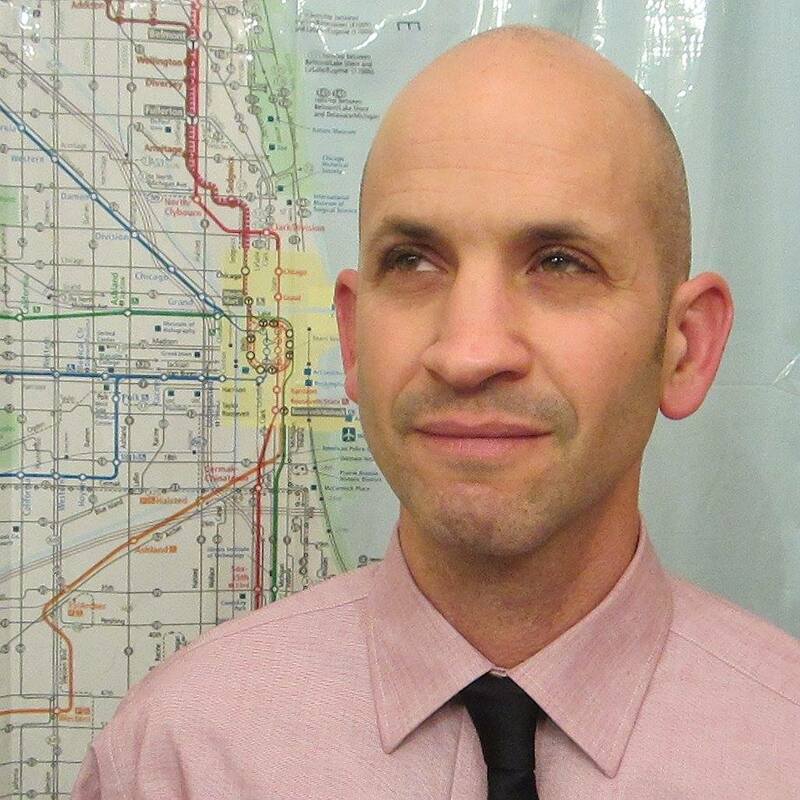 John previously worked for the Active Transportation Alliance as a consultant to the Chicago Department of Transportation, managing the installation of roughly 3,500 bike parking racks. He has a B.A. in English from the University of Chicago. John also writes a transportation column in the Chicago Reader. He lives a short walk from the Wilson Red Line stop in Chicago’s Uptown neighborhood. Follow John on Twitter @greenfieldjohn. Prior to joining the Streetsblog family, Steven co-wrote GridChicago.com with John Greenfield. Steven graduated with a masters in transportation planning from the University of Illinois at Chicago in 2010. He worked for the Chicago Department of Transportation and Active Transportation Alliance as a bicycle parking planner. Steven organized the Cargo Bike Roll Call organization for four years to promote family and utility cycling in Chicago, and created the only public traffic crash map in Illinois. He started Chicago Cityscape, a mapping platform that gives advice to property developers and notifies residents of construction in their neighborhoods. Follow Steven on Twitter @stevevance. Lynda is a lifelong resident of Chicago and started writing as a high school student reporter for the Chicago Tribune’s The Mash student newspaper, where she received a career achievement award upon graduating high school. She also wrote for Youth Communication Chicago’s New Expressions newspaper and published an essay in The New York Times Upfront magazine. Lynda was a part of the Chicago Metropolitan Agency for Planning Future Leaders in Planning (FLIP) program and the Young Planners Network (YPN). Lynda also helped plan YPN’s national convening at UIC during her senior year of high school. While an undergraduate at the University of Chicago, she was the News and Public Affairs Intern at the University Community Service Center, interned at the Redeye, and participated in the American Indian Journalism Institute at the University of South Dakota. Lynda now works at the Brighton Park Neighborhood Council. When not at work, she enjoys bike-riding, reading books on housing policy, and tweeting. Follow Lynda on Twitter at @lyndab08.